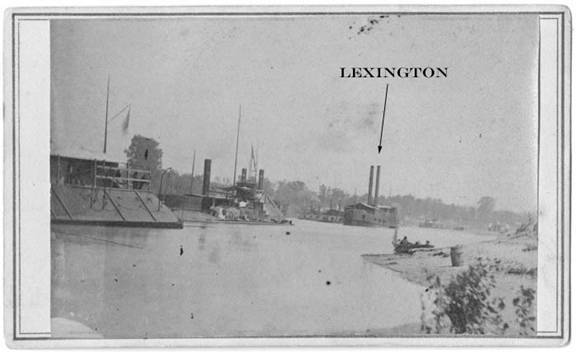 Based on the Duke University photograph showing a part of the Mississippi Squadron on the Red River, it is possible to determine that two other photographs from different sources show the Lexington on the Red. Photograph #2 is from the US Navy Historical Center. The caption identifies this as the Tyler. 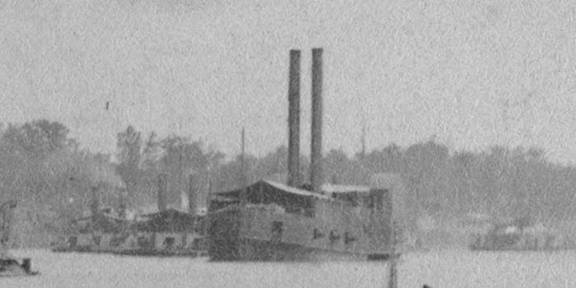 If we look at the previous photographs compared to this one, it appears to be the same ship on the same river with the same city class ironclads in the background. 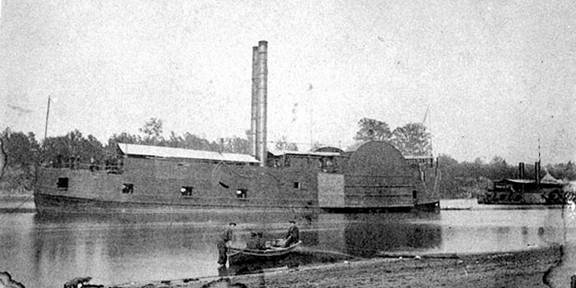 This is in fact Lexington on the Red River. Notice that the wooden shield for the upper deck doesn’t have any gun ports. 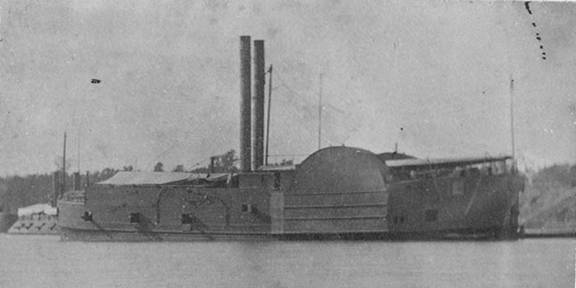 Based on the fact that the Tyler was not part of the Red River Expedition and the “Squadron” photograph shows Porter’s fleet on the Red above Alexandria in 1864, it is safe to assume that all three of these photographs are of the Lexington on the Red River.